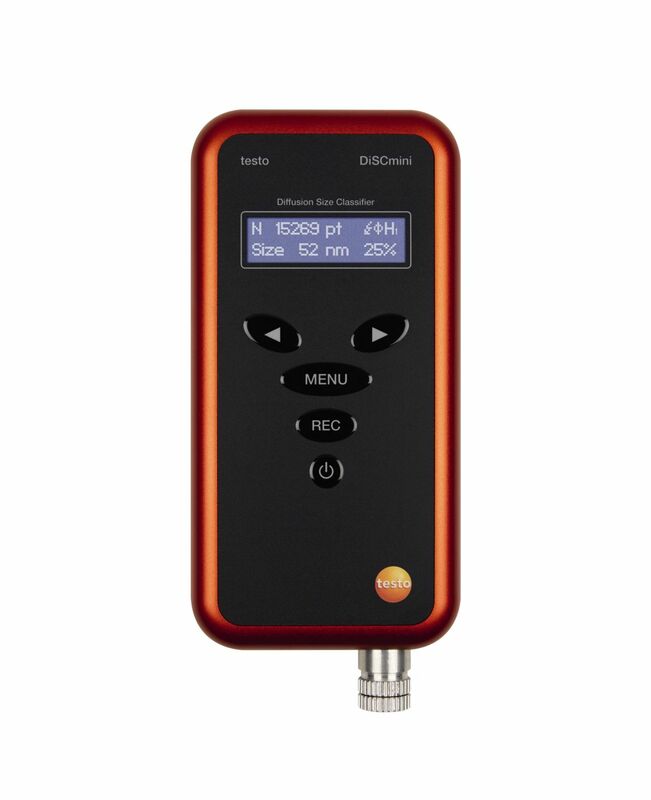 The testo DiSCmini is a portable nanoparticle analyzer that counts particle number, average particle size, and lung deposited surface area (LDSA) measurement values. Use the testo DiSCmini to monitor personal exposure to ultrafine particles (UFP) in work areas, or to monitor ambient toxic pollutants such as diesel soot. This will provide data to allow you to evaluate health risks. 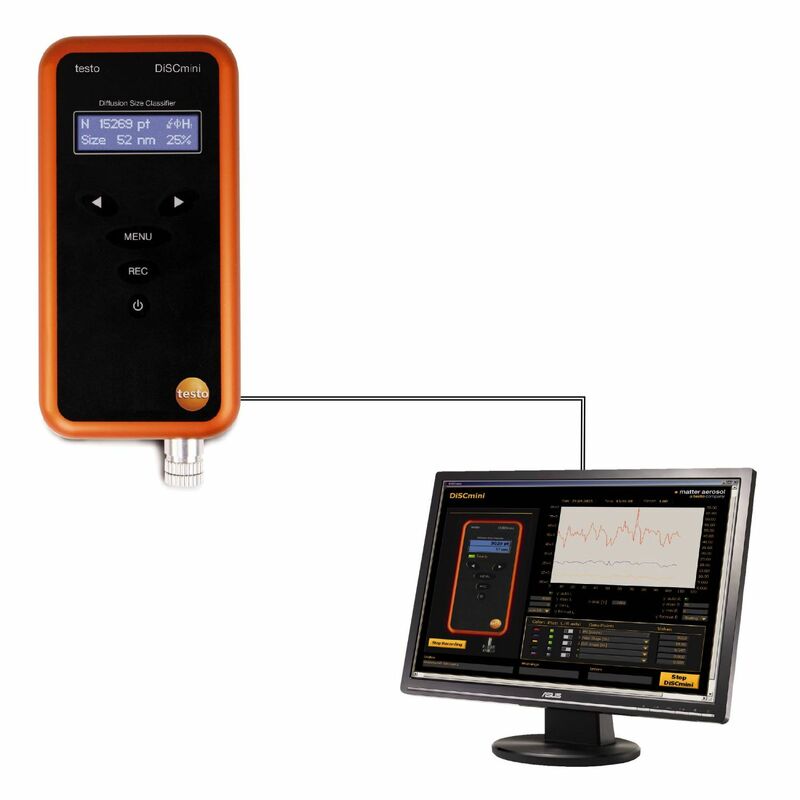 The testo DiSCmini handheld particle counter measures the number and average diameter of nanoparticles efficiently, based on the electrical charging of aerosols. For example, with the testo DiSCmini, you can reliably monitor human exposure to ambient particles such as diesel soot, welding fumes, or industrial nanoparticles. 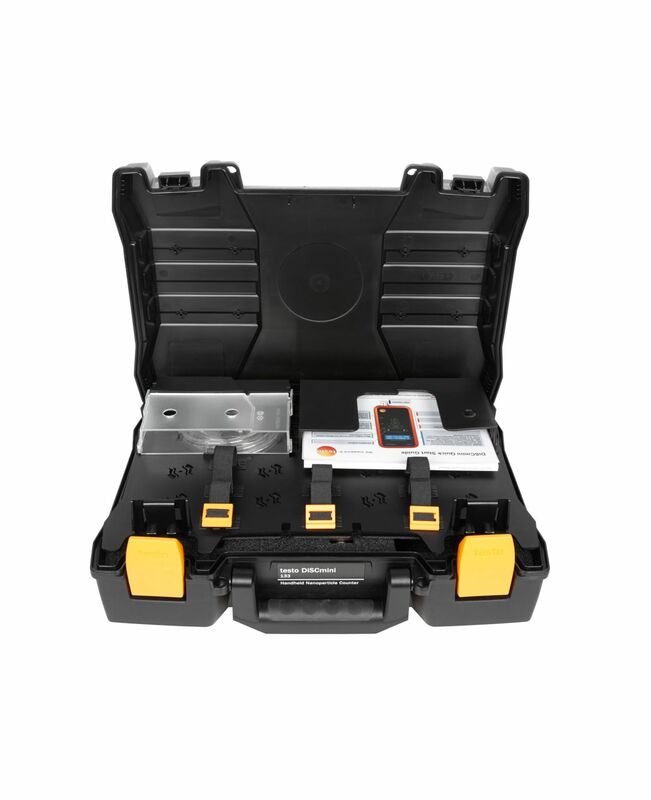 The small size of the testo DiSCmini makes it ideal for mobile on-site measuring tasks. Previous studies describe the negative impacts of ultrafine particles on health, based on vague benchmarks. With the testo DiSCmini, it is now possible to measure the particle number concentration and average diameter of nanoparticles. Both are considered in determining health risk. Typical applications of the testo DiSCmini include the determination of personal exposure in particle-loaded workplaces (due to diesel soot, welding fumes, and industrial nanoparticles, for example), or in vulnerable populations or groups (such as people with asthma, COPD, or other respiratory conditions). 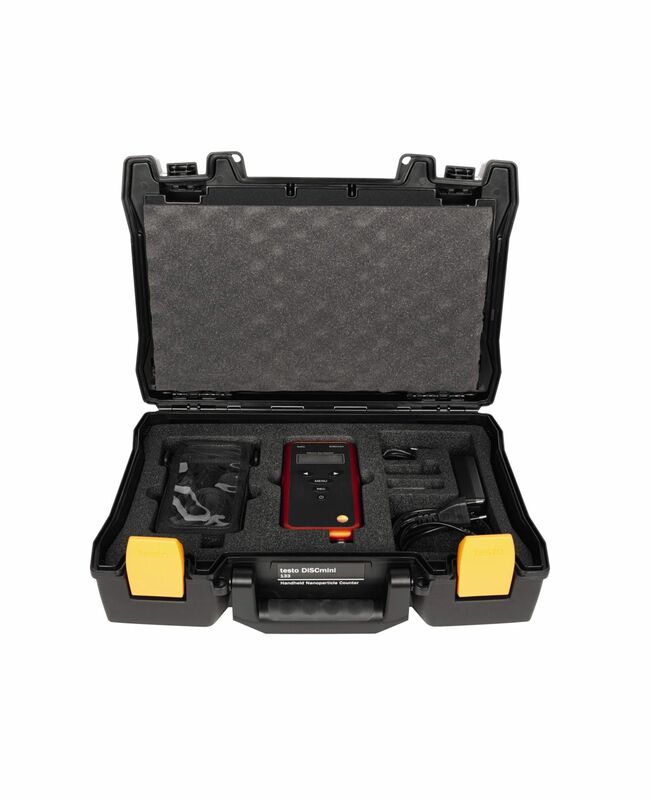 The small size of the testo DiSCmini makes the instrument particularly suitable for mobile on-site measuring tasks and grid measurements of the ambient air. The high measurement frequency of 1 Hz for all three measurement parameters enables the detection of rapid changes in the aerosol.